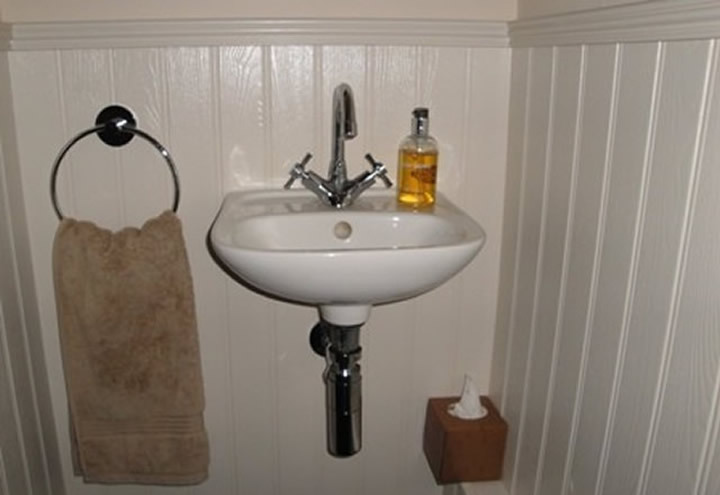 The design of this wall mounted hand basin was ideal for installation with minimum pipes on display, it came with chrome plated bottle trap, waste pipe and wall cover plate. Luckily there was a cupboard behind where the basin was to be mounted, this was of dry wall construction. 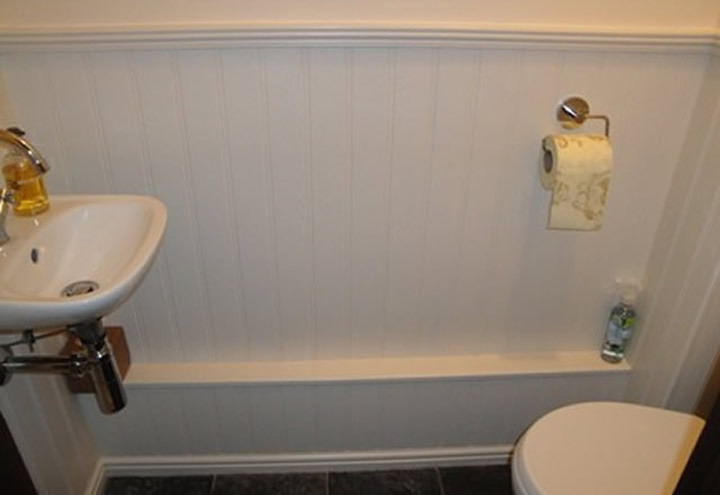 The plaster board was cut with a saw to give access to the rear of where the sink was to be hung. 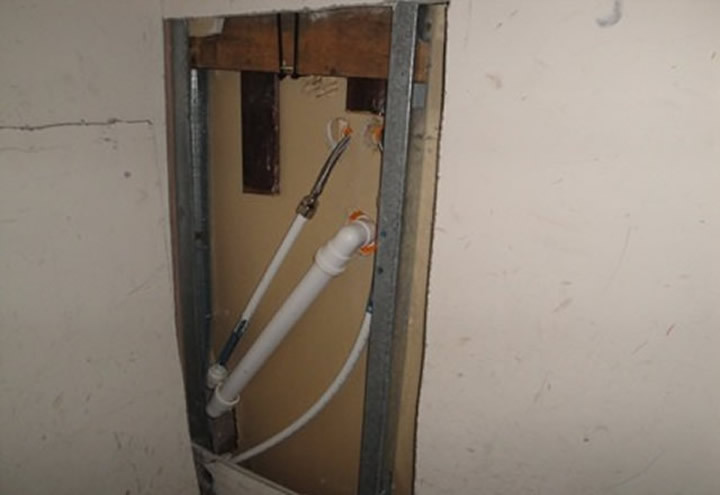 There was just enough room to run the pipes (waste, hot and cold) in the cavity, they were routed into the cloak room to meet back up with the main waste pipe and supply pipes. The pipes were covered with a box/shelf (see last picture) made with matching wood panelling. We used flexible tap connectors and plastic pipe which is easier to route around obstructions. 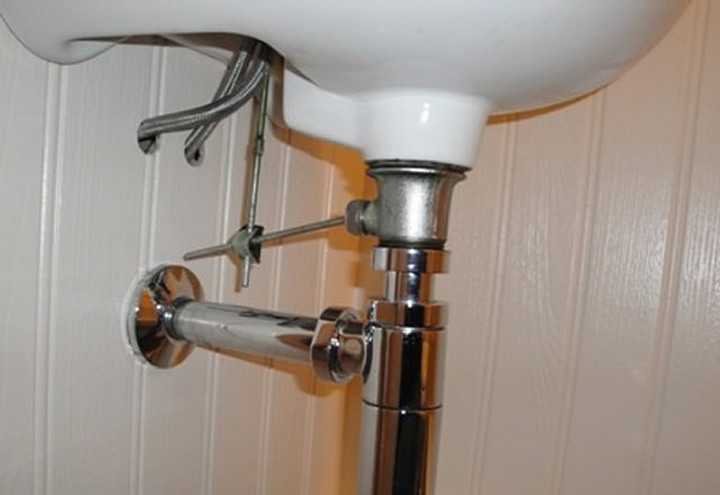 The chrome wall cover plate finishes off where the waste pipe goes through the wall and allows for some adjustment. He you can see a box/shelf covering the lowered pipes, they were originally on the wall about a foot higher and uncovered. The result is nice clean lines and no ugly pipes to look at.